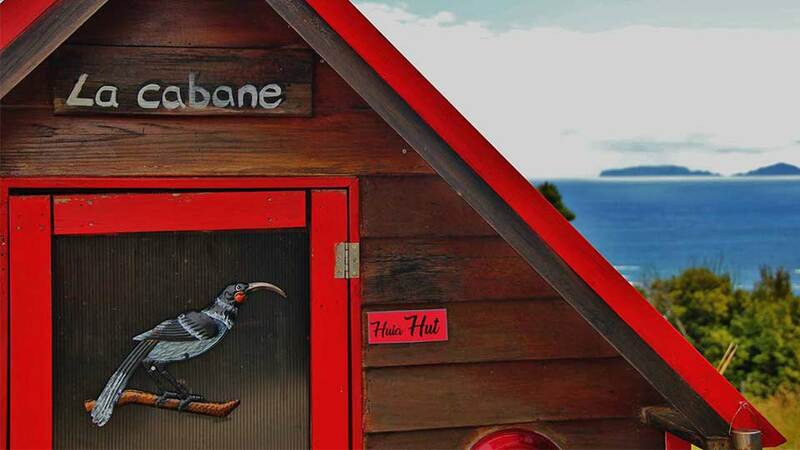 The Huia Hut (La Cabane in french) design and built for one person comfort with amazing views over the Pacific Ocean with it’s s stunning sunrises and sunsets. This is the ultimate lookout point in Tutukaka. 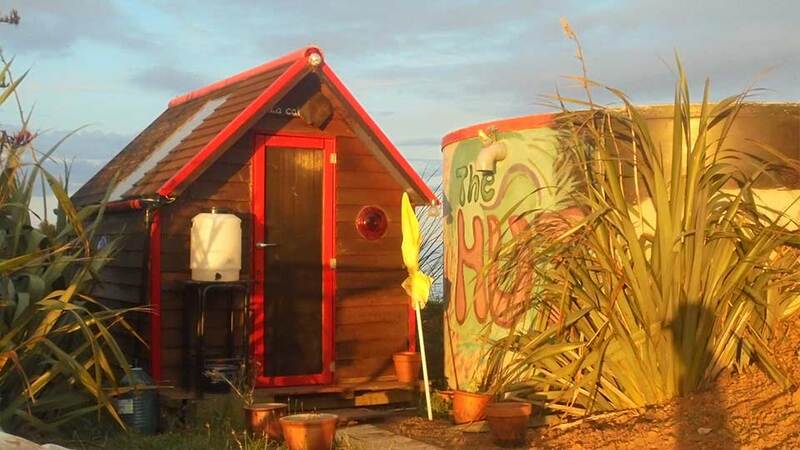 The Hut provides comfortable large single bed with electricity lighting, Internet access, coffee and tea and jug provided, fresh drinking water with a secluded bush shower attached with hot water and great pressure. In the winter, there is an electrical blanket to keep your warm on those chilly nights. 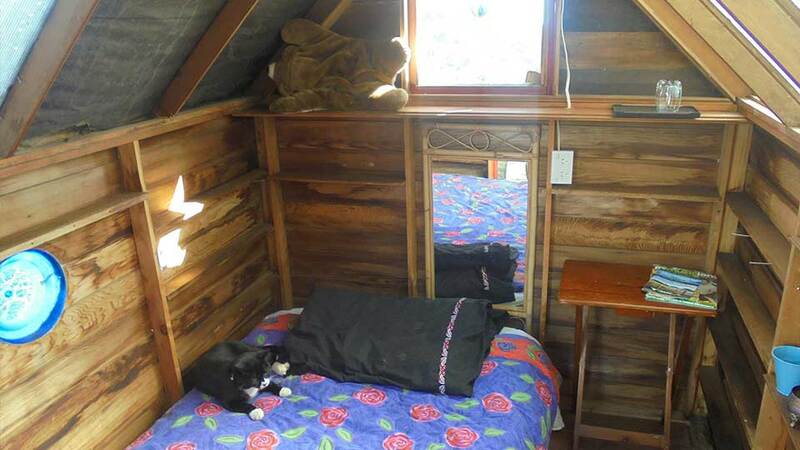 If you are looking for a short term and cheap single room accommodation in Tutukaka, the Huia Hut is perfect for backpackers or adventurous guests and is a great base from which you can explore the numerous Tutukaka walks, swim, surf, and diving spots. Cafes, restaurants, shops and convenience stores all within 5 minutes drive from Ocean Purring Views. You will not find better ocean views in the whole of Tutukaka Coast. 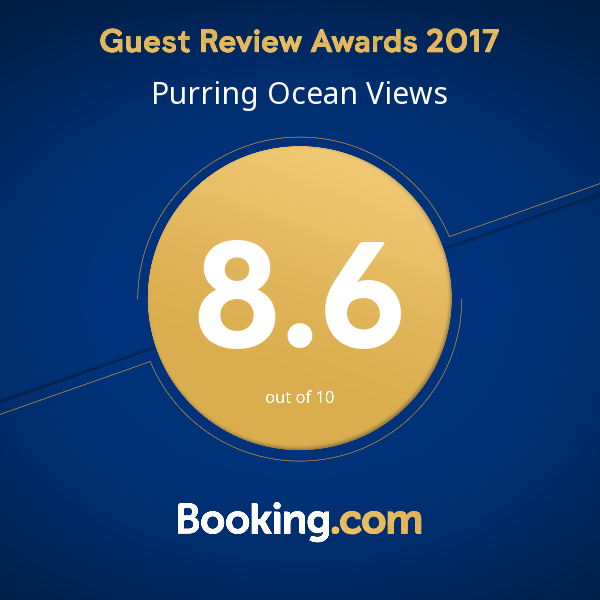 Join us and see for yourself the amazing sunrises over the ocean and the Poor Knights Islands and the mesmerizing sunsets over Wellington’s Bay and Ngunguru Sand spit. 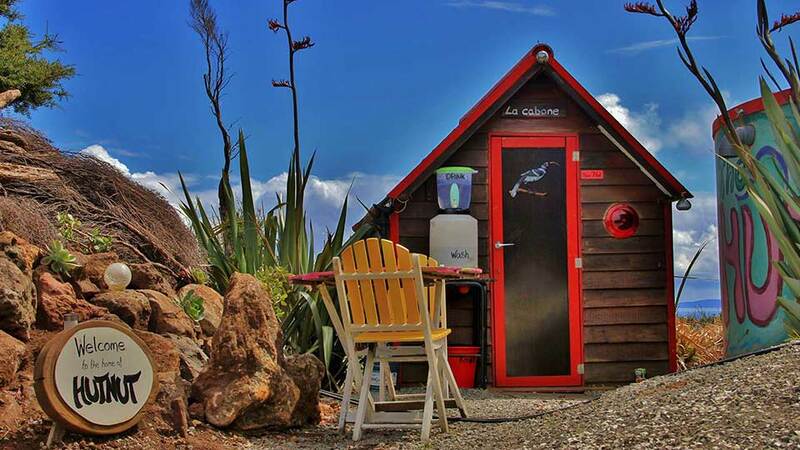 The Huia Hut comes with a traditionnal European style eco-friendly secluded dry toilet and a charming hot bush shower. An outdoor table and chairs is provided, altough their is no cooking facilities apart from plates, cups, cutlery, jug, coffee and tea. Cafes, restaurants and takeaways are within a 5 minutes drive from your Hut. There are other viewing sites on the property that you can enjoy a glass of wine at sunset or breakfast at sunrise over the Pacific Ocean and Poor Knights Islands. It’s cosy, warm, and the sound of the wind and the sea is lulls you to sleep. The bed is just right for one 🙂 The views are indeed astounding, and Tutukaka is such a gem of a place to explore! Brigette and Grant are absolutely great hosts and give a lot of tips. And whoa, if you can be there during the full moon… I also loved the outdoor shower (very warm!) and the view from the outhouse is something else. Go! The most amazing views from the top of the point in this tiny hut. Perfect for my solo night away. Nice hot shower, loo with a view and lovely hosts. 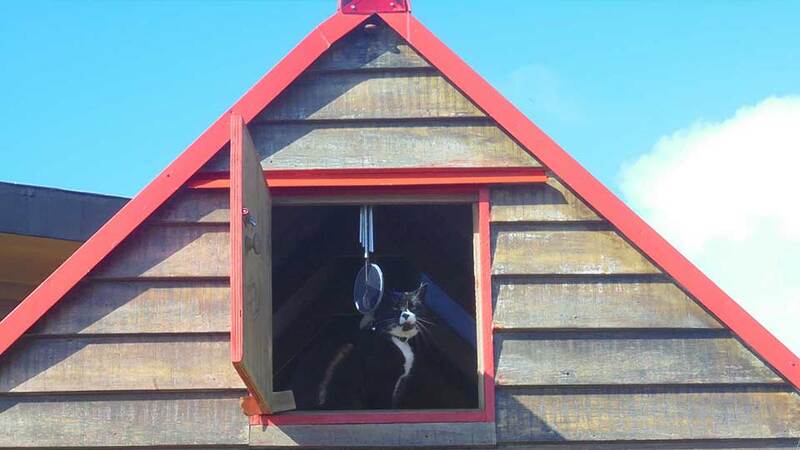 The Hut is quirky, cosy and so cute. Feel back-to-nature as you shower and ablute outdoors. Lovely wrap-around views of the coastline. Highly recommend!